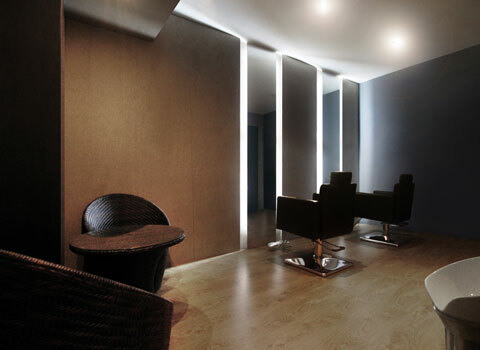 It comprises of an area open for the public and a private room for guests. 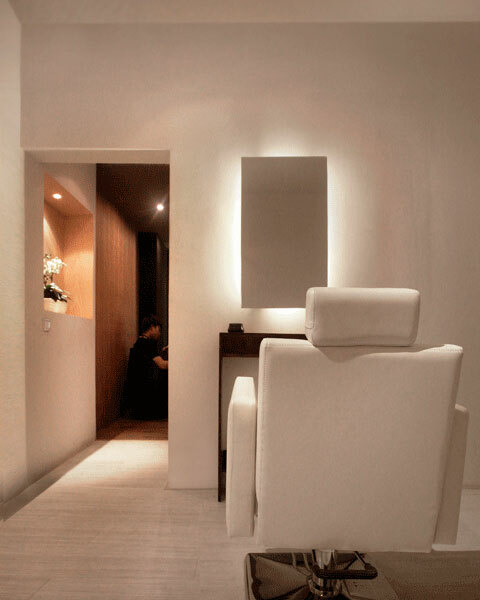 In contrast to the turbulent surrounding atmosphere, plenty of colorful signage, the salon becomes a calm and reposeful element and the design evokes the relaxation of the beauty treatments offered inside. 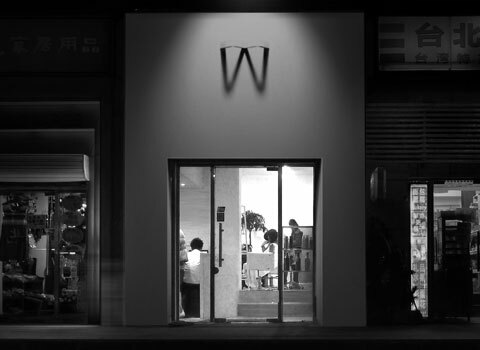 The façade come to be a white and vertical canvas intensely illuminated in which only the shadow of a horizontal metal shape is projected outlining the name of the shop. 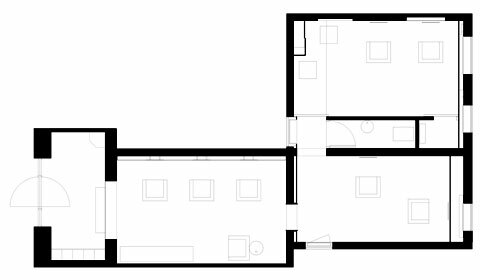 Once inside, the interior design follows the same principle of minimalism, enhancing only the fundamental elements around the customer and leaving the rest of the space self-controlled within a sober form. 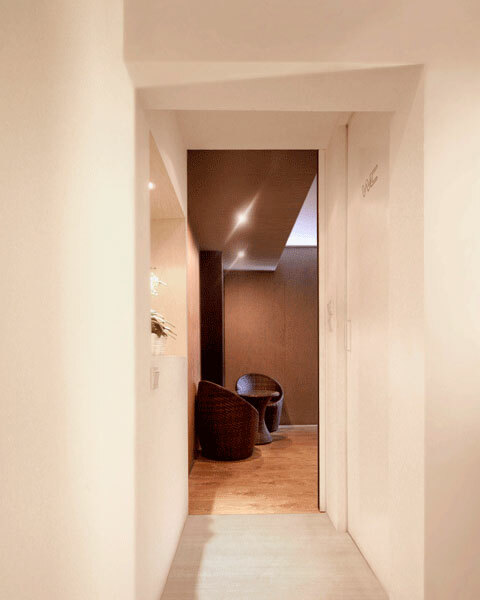 After passing the reception area, where the locker is situated, a few steps separate the rooms for the customers. The first two are characterized by a bright luminosity; the white walls emphasize the strip where the mirrors are located, -lined in yellowish beech wood-, creating a strong contrast. 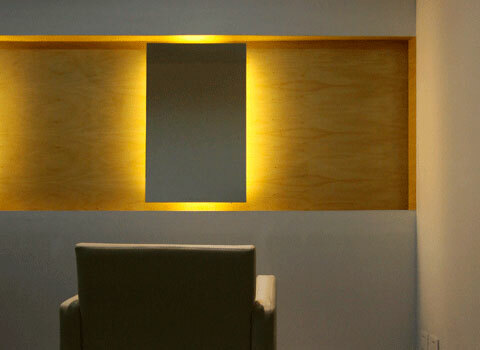 Lighting gains prominence because of the fluorescent light coming behind the glass, framing the portrait of the customer sitting in front of the mirror and giving the sensation of a floating reflection. If the previous spaces have a predominance of horizontal lines, the third one is distinguished by the vertical mirrors. This room, separated by a sliding door, offers a more intimate atmosphere given by the used materials: dark wood and linen. 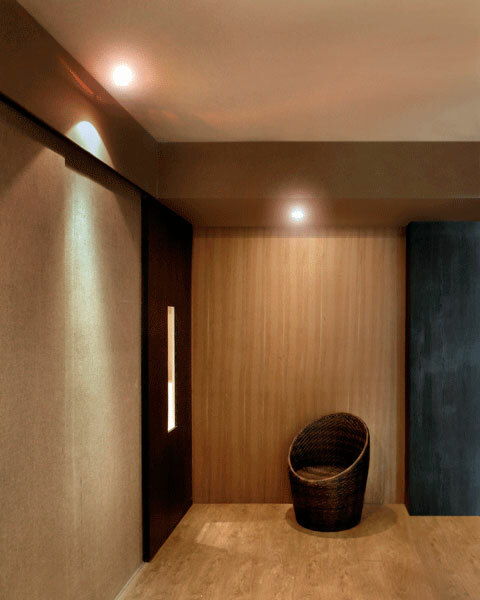 The natural texture of the fabric covers the wall where the sitting area is located, close to the customer. A small storage room and a toilet complete the program of the shop, with a total capacity for 8 people.